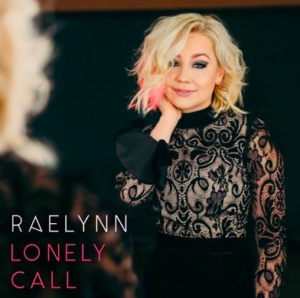 RaeLynn seemed to take a step forward in her career with her last single, Love Triangle. That song was mature in many ways, but also looked at struggles that kids go through with divorce. For some reason the song seemed to stall out in the 20s on the charts. Although its impact seemed to be much deeper than that. Now it’s time for another single. This one sounds like a possible hit. It’s catchy. It’s got a little sadness in it. It’s something a lot of people can relate to. So I think what’s going on here is that a girl is sitting around getting over a breakup. It sounds like this wasn’t easy for her. She seems to care about the guy. She’s going through the typical emotions of the breakup. And unfortunately that includes the guy still keeping things in limbo a little bit. He’s calling her. But she knows what this is all about. It’s not about getting back together. It’s about him being lonely. He still thinks they can hang out especially if he has nothing else going on. But the girl is going to be strong. She’s not going to be that person for him. He made his choice and it’s best to move on and get on with life. Those are lyrics people can relate to. But the big story for me is the melody. It really has the feel of a hit at radio. I’m pulling for RaeLynn on this one.